Thank you for your interest in the Transitional Year Residency Program, University of Tennessee Graduate School of Medicine at The University of Tennessee Medical Center at Knoxville. Our program participates in the Electronic Residency Application Service (ERAS). We have formally agreed to not accept applications outside the ERAS system. Please do not mail applications to us through the postal system-we will not be able to process them. To apply, simply go to the ERAS web site. 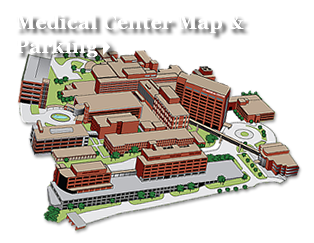 Our program is listed as "University of Tennessee Medical Center at Knoxville" and our accreditation ID is: 9994700130. The Educational Commission for Foreign Medical Graduates (ECFMG) has agreed to be the contact agency for all international medical graduates. They will assist you with any questions you may have regarding ERAS. If you are a foreign medical graduate, you will be required to go through them. We also participate in the National Resident Matching Program (NRMP) so we have agreed to only accept applicants who are participating in the NRMP. We do not offer positions outside the NRMP. We have 6 positions available; however, they are divided into the following: 4 positions granted to TY-Radiology NRMP Program Code 1839999P2 (students who are also applying to the advance PGY-2 positions for the Diagnostic Radiology and Interventional Radiology programs) and 2 positions offered to open Transitional Year applicants, TY- Open NRMP Code 183999P0. Students who would like to attend the University of Tennessee Medical Center at Knoxville for both Transitional Year and Radiology need to apply to Radiology (ACGME accreditation ID 4204721236) and Transitional Year (ACGME accreditation ID 9994700130 and TY-Radiology NRMP Program Code 1839999P2). If you are selected for an interview with the Radiology residency, you are not required to have an additional interview with the Transitional Year program. You will meet radiology residents who do their transitional year here at our institution during the Radiology interview process. We interview broadly across many "next specialties" and military positions for the open TY spots. Please remember that the Transitional Year residency is very much in demand. Early, fully complete applications are encouraged. Please keep in mind that The University of Tennessee Graduate School of Medicine does not sponsor the H-1 VISA. We review all applications sent to us through ERAS and require a minimum score of 220 on Steps 1 and 2. To be considered for interview, applicants must pass all USMLE tests (1, 2 and CS) on the 1st attempt. If you graduated from an international school, one year of prior U.S. training is required. Applicants must not be no more than 2 years since graduating from medical school. We do not offer externships nor observerships due to legal matters. The deadline for receipt of applications is December 1; however, it is best to get it in as soon as ERAS opens as interview slots are usually completely filled by mid-October. Again, thank you for your inquiry. We hope to hear from you soon!